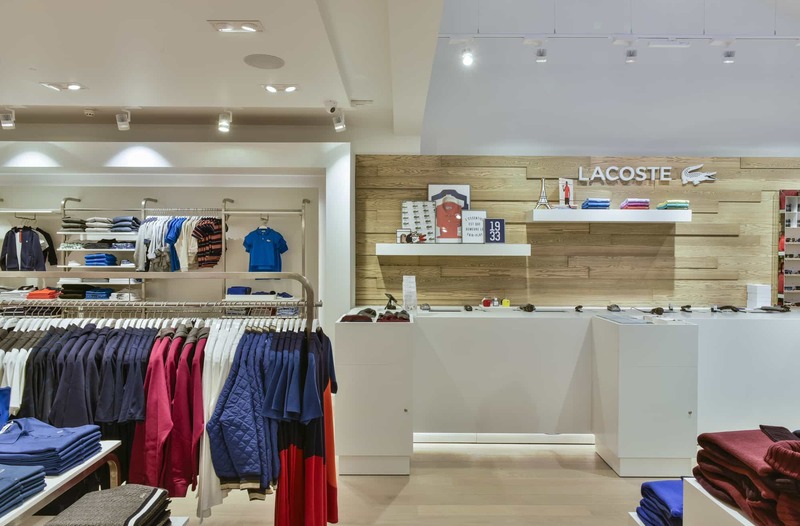 Another story to add to our portfolio, and this time it's the Lacoste Bicester tale. 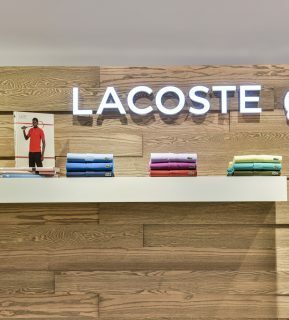 When Bicester Village decided to invest further into their chic outlet and present Lacoste with a bigger and better space, we were more than happy to get involved. As an existing client of D4R, we had already established a relationship with the brand and its guidelines; an incredibly helpful detail when taking on a project of this calibre. 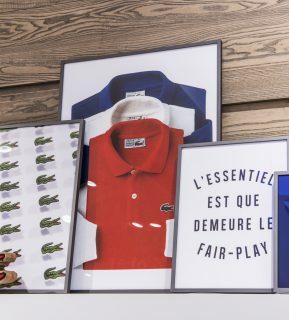 The rich history of the brand is present within their retail guidelines, which we adhere to in each and every project for Lacoste. However, the Bicester expansion allowed us to develop a concept from these guidelines which not only suited the brand but also the esteemed location. Walking into the store early on, we were greeted with a blank canvas and an empty space to work with. Whilst it may seem a daunting task, the idea of taking a project from the ground up held a great deal of excitement. 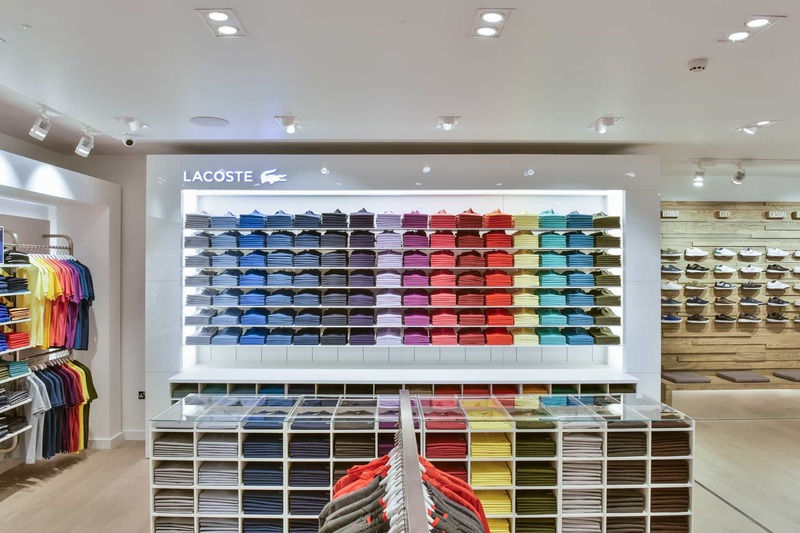 Once we had received architectural designs from the Lacoste UK team, our process began. Installing the essentials such as heating and air condition units, ceiling structures, flooring, back-of-house space etc. was just the start of this project. 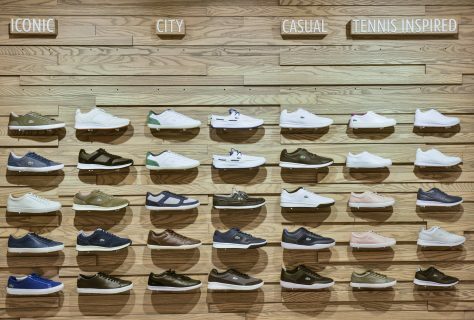 These installations brought the store to a 'white box' which allowed us to begin the implementation of Lacoste's retail guidelines. Most prominent in the new space is the famous polo wall. A statement in all Lacoste spaces, the Bicester store is no exception in its bold showcase of the brand's polo. 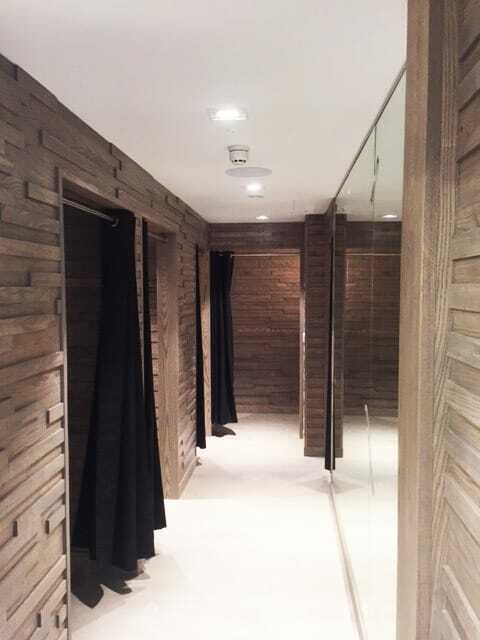 However, despite its eye-catching nature, this wall is not the only design element which steals the show. The bespoke fixtures and fittings are structured to create clear zoning and customer flow throughout the store whilst the use of white works acts to elevate the products. The catwalk fixture central to the store, creates a focal point for the Lacoste mannequins; a lifestyle that breaks up the product categories around the space. 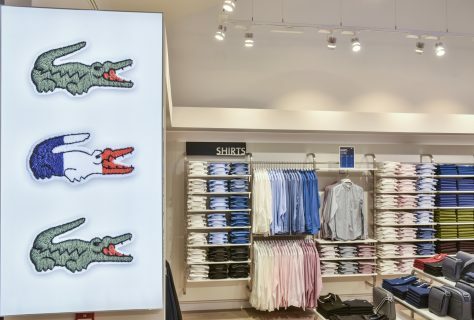 Storytelling is achieved by using Lacoste's wide range of visual assets for implementation of a large LED screen and various decal elements, drawing the customer's attention to the brand's history. 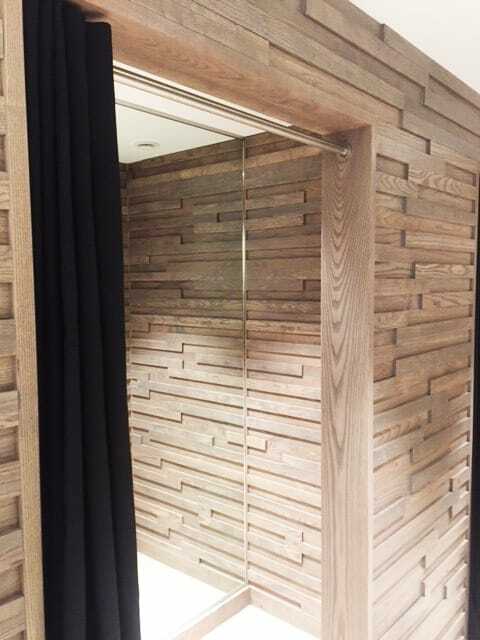 The catwalk fixture is the first introduction to timber as you enter, continuing your journey through the store it is used as cladding for walls to create an acutely natural feature. This element runs behind the footwear, leather goods and till area, however the use of timer doesn't stop there. 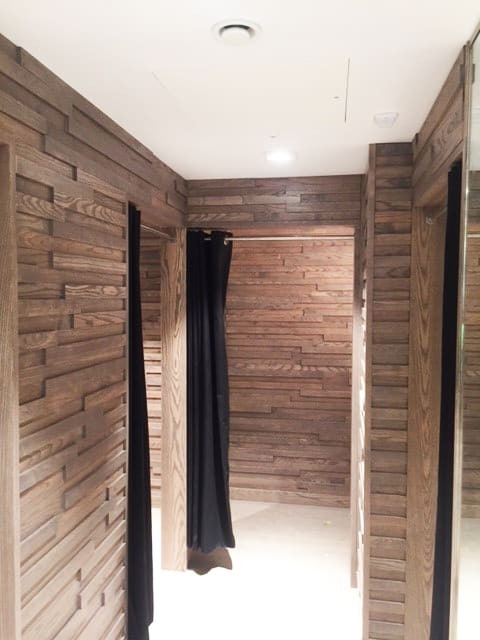 The D4R team took inspiration from these timber walls to design unique fitting rooms exclusively for the Bicester store, continuing the premium experience for customers and in accordance with the Bicester Village aesthetic. The chance to project manage, produce and install for the revered sports brand was a fantastic experience for the D4R team. We look forward to adding more Lacoste stories to our blog soon! D4R IN THE TOP 100 AGENCIES 2017! 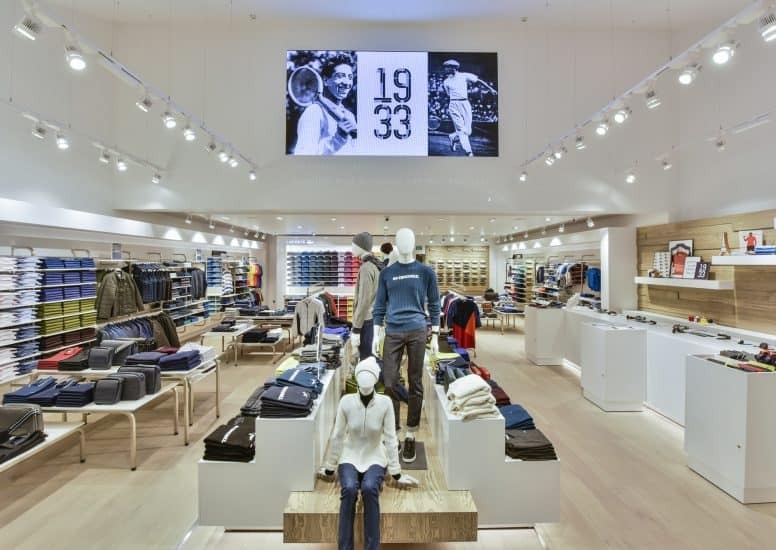 TOP 10 SPORTS RETAIL TRENDS – PART 2!